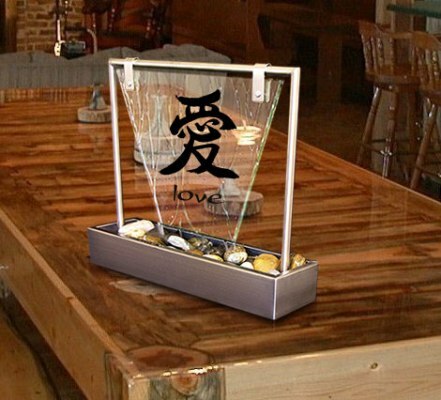 The ‘Love’ tabletop fountain features glass and stainless artfully arranged in a lovely settings. This unique fountain has been hand crafted by Aqua Fountain in Australia with of outstanding quality and feature vinyl Chinese and English characters. Sit back and relax as you listen to the flowing water in this wonderful fountain.